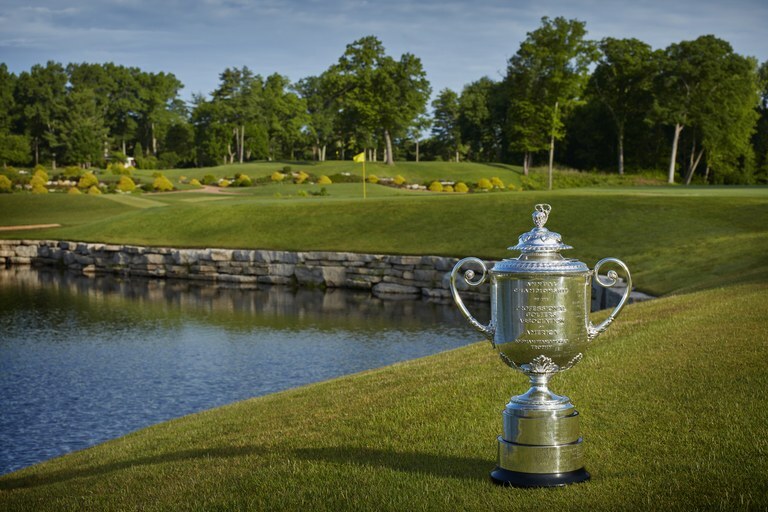 The PGA Championship is often considered the “fourth” major, partly because it pales in comparison to the other three and also because it’s the 4th one played each year. Starting in 2019, the tournament will move to May. Will that help elevate the status of the tournament? Matt Belacca, PGA, Glendale: It’s hard to change people’s perception and moving the date of this major won’t help. I think people will always consider it the 4th major just because of its history. 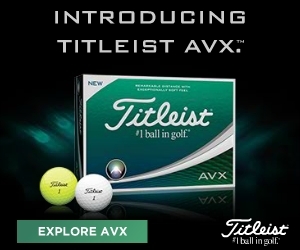 It’s not Augusta, it’s not overseas and it’s not the national championship. It still remains a major, so viewership will be up, the field will be strong, but it will always be inferior to the other majors. Andrew George, PGA, King’s Riding: I believe it’s the timing of the event that leads it to being considered the 4th major. Traditionally held at the end of summer, viewers could be on vacation or taking advantage of golfing themselves, leading to lack of interest. That’s not to say this doesn’t happen during the US Open or the Open Championship. With the event being moved to an earlier date in the North American golf season, it will no doubt create buzz and hopefully an identity as a major, not just the 4th major. Scott Johnson, PGA, Kanata: I think it has long been considered the 4th Major as it is the last one in the season, but also because of the perception the field isn’t as strong as the other majors. This isn’t necessarily the case as 48 of the top 50 in the world are playing this week. In order to elevate its status, I think players will have to start being proactive in letting everyone know it ranks right up there with the other majors. I’ll bet if you could ask Arnold Palmer how important the PGA Championship is, I wonder what he would say considering that is the one major he didn’t win. Chris McNair, PGA, Emerald Hills: This is a great move not only for the PGA Championship, but for the four event major series that are meant to be the highlights of the season. The position of the last major of the year should be a grand finale and capture the attention of the global golfing community. The Open Championship is the perfect event to accomplish this. Now the PGA Championship will be an important step and logical lead up to the US Open and Open Championships, versus a moderate let down. The Masters stands alone among the three others, so we’ll just leave it out of the conversation. Brad Sewards, PGA, Wyndance: Although the change in date will make the event far more relevant, it will still be the lesser of the four majors. I always enjoy watching the PGA and the winners are all over the Hall of Fame...but for me, it still doesn't reach the same excitement level as the others. There were high hopes that after briefly holding the lead on Sunday at Carnoustie perhaps Tiger Woods was ready to win again. His play at the WGC Bridgestone might indicate otherwise. What’s your assessment of Tiger’s game right now and do you see him as ready to win another major? Belacca: I have never been a big Tiger fan, but I do know he pushes the needle whenever he is playing, so he is good for golf. He is showing flashes of his old brilliance but at this time I don’t see him being consistent enough over four rounds, especially with the increased competition from the younger guys. Personal opinion: Tiger won’t win the PGA. George: I haven’t seen anything from Tiger to show he’s ready to win a major. Fresh off a disappointing weekend at Firestone, he’s having a tough time putting four rounds together. With the heightened pressure of a major championship, and other guys like DJ and Justin Thomas playing some world class golf, I don’t see Tiger being a factor on Sunday at Bellerive. Johnson: I think his latest return has been remarkable. Looking at where he was a year ago, to see him contend in a major (Open Championship) hopefully means he is getting closer. But I think he will need to win a regular tour event before he wins a major - just to give him that feeling of winning again. McNair: Tiger’s game is fairly sharp right now, and he’s slowly achieving higher plateaus each month. My gut tells me that he’s simply checking off the boxes of golf game elements and is close to having a full sheet of check marks. He is very systematic, loves the process of the game, and is a mental giant. Sewards: I said it before I will say it again. TIGER wins again and will win another major. Period. Who is your pick to win the PGA Championship and who might be a sentimental (long-shot) choice? Belacca: I am going with my guy this week: Rory McIlroy. Played well at the Open, three good rounds at Firestone. If he can get the putter going he has a great chance. I can’t really consider him a long-shot, but I like Tommy Fleetwood. Probably playing the best golf on the planet consistently and this could be his week. George: When Justin Thomas is hot, he usually stays hot for a few weeks. I like him to defend his title at the PGA Championship. Ian Poulter has been at the top of some leader boards throughout the season. He couldn’t finish last week at Firestone, but I like him as my sleeper pick. Johnson: Hard to argue against Francesco Molinari coming off his solid performance at the Open Championship, and I also like Dustin Johnson who played great at the RBC Canadian Open and carried over to the WGC where he had a strong finish buoyed by a great final round. Sentimental favourite would have to be Rickie Fowler…he has to win a major soon. McNair: Dustin Johnson should win, right? Every event is his to lose basically. I’m still hopeful for Rickie Fowler to win, but I’m getting ready to move on. Sewards: My pick for the W at the PGA is Justin Rose. He made a great run at The Open and is firing on all cylinders. For my long-shot pick I would say Sergio!